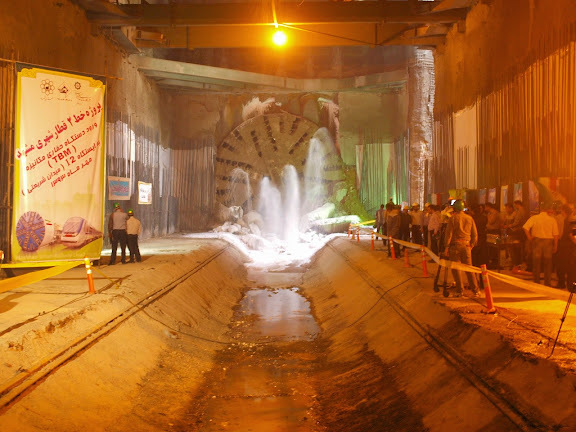 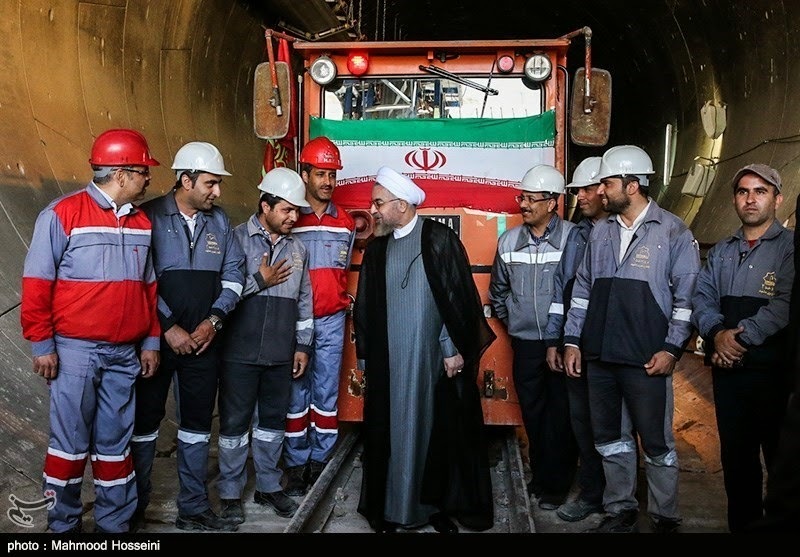 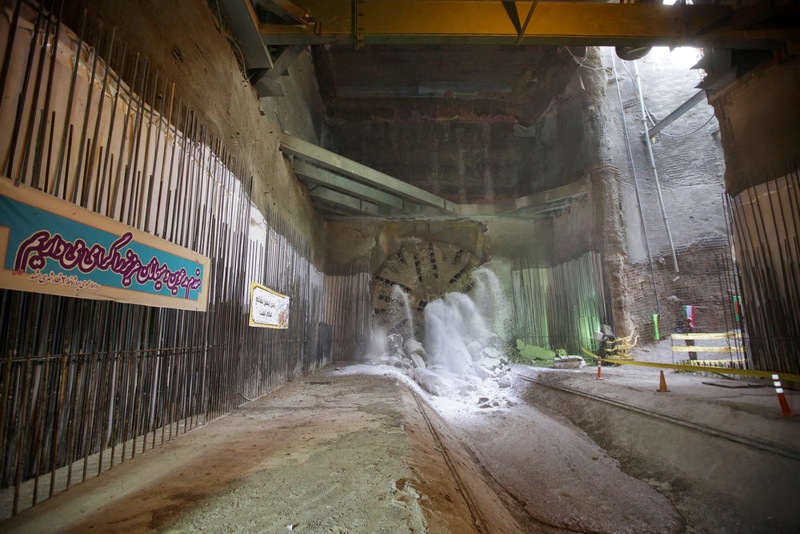 A massive tunnel boring machine (TBM) enters section of Shariati station construction site of Mashhad Urban Railway Line 2. Khatam al-Anbiya Construction Headquarters (KAA)-- associated with the IRGC-- claims this segment of the Line 2 project is being performed ahead of schedule. 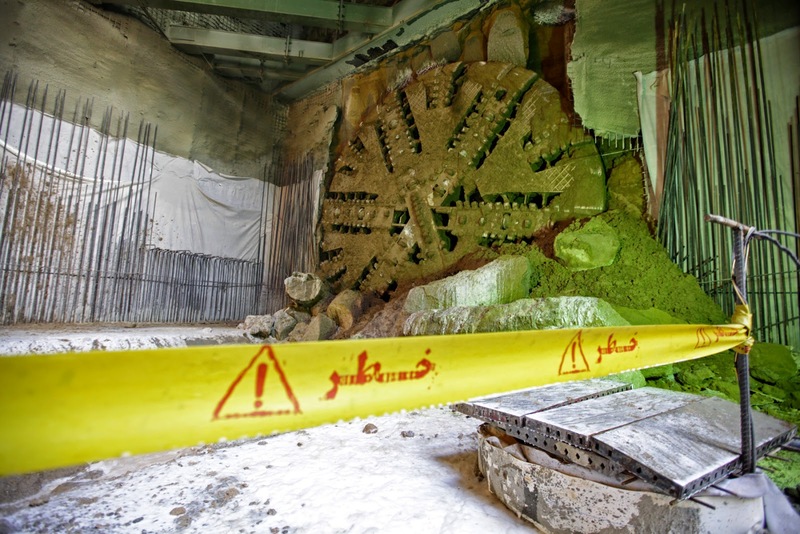 Detail of TBM at Shariati station construction site, managed by Khatam al-Anbiya ("Seal of the Prophets") Construction Headquarters. 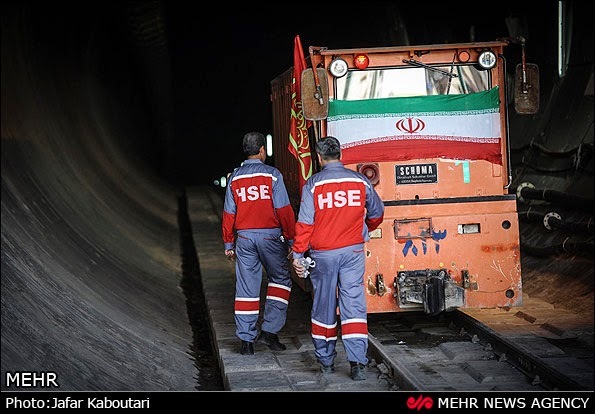 KAA is subject to sanctions by the United States, European Union and UNSC resolution. 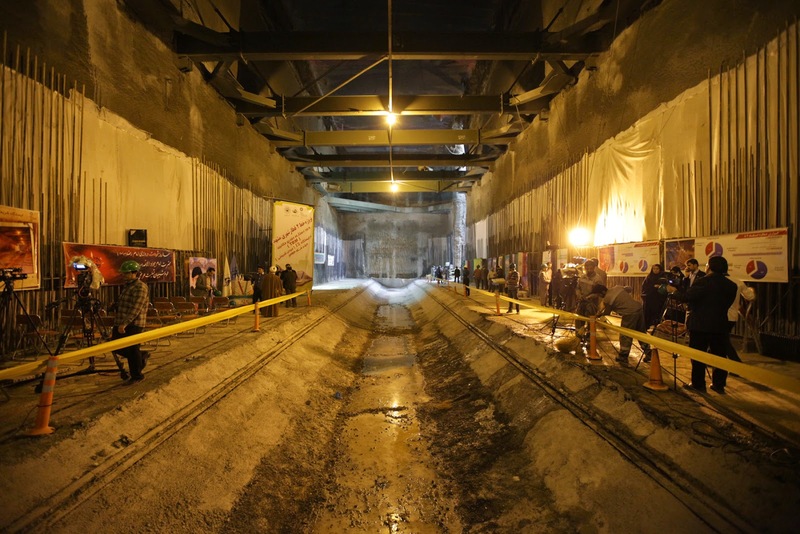 Just a correction to your translation of the title Khatam al-Anbiya : it actually means " the last of the prophets " . Khatam means end. So the literal translation is "end of the prophets".